Car insurance can be complex. This is reflected in the volume of auto insurance questions we get from drivers of all ages and walks of life. In order to help you find clear information on some of the recurring inquiries we receive, we’ve provided a list of the most common auto insurance questions, and their answers. Yes. In Alberta, you are required to have at least PLPD insurance (personal liability and property damage insurance) in order to drive legally. Additional types of coverage are optional. What is the difference between PLPD, Collision and Comprehensive coverage? PLPD Insurance is legally mandatory and covers damages or injuries to another person or their property. Collision Coverage pays for the coverage of replacing or repairing your vehicle in the event that you collide with another vehicle or object. Comprehensive Coverage covers all of the above and also damages from fire, theft, vandalism, and certain weather-related damages. A deductible is the amount of money you have to pay before your insurance provider covers the remaining costs. For example, if your deductible is $500, and there is $800 in damage to your vehicle, you will cover $500 and insurance will cover $300. If another person drives my vehicle, are they covered? Typically yes, provided the person driving your vehicle has your consent to do so (known as “permissive use”), does not live in the household and does not have regular access to the vehicle (for example, a designated driver driving you home from the bar on occasion). For someone who does live at the same address or has regular access to your vehicle, it is more complicated, and full and honest disclosure to your broker is necessary to ensure that you are correctly covered. How do I get lower auto insurance rates? This is by far among the most frequently asked auto insurance questions. 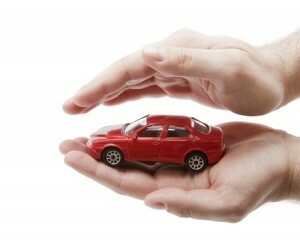 There is no uniform answer, but typically, the following will help you obtain lower car insurance rates. Do you have an auto insurance question that we didn’t answer? Don’t hesitate to call us today at 1-888-633-9898. One of our insurance experts would be happy to help!